In this paper we present a novel technique that can be applied in data transmission noisy channels. The method is based on the reconstruction of one or two dimensional signal with finite support from only its Fourier transform magnitude computed from the converted original signal. This method is the Saxton and Gershberg iterative algorithm for reconstructing a non minimum phase sequence from magnitude, using this method we have proved that spectral magnitude is less sensitive to additive white Gaussian noise than spectral phase and signal. The algorithm is operated on converted non minimum to minimum phase signal by concentrating the higher energy on the left hand end sequence than the right hand end sequence, thus dealing with magnitude we have achieved a good performance at all SNR levels with limited extra computational complexity. Сitation: Z. Chama, M. F. Belbachir, Z. Mahdjoub. The importance of spectral magnitude in signal through a noisy channels in data transmission. Electronic Journal “Technical Acoustics”, http://www.ejta.org, 2002, 4. Eduardo. A., Sanjit. K. Mitra, Rossano. M. Minimum phase channel Equalisation using Non causal Filters. IEEE Trans. Acoust., Signal Processing, vol. 45, No°.1, pp. 1-13, January 1997. Y. M. Bruck and L. G. Soudin. On the ambiguity of the image reconstruction problem. Opt. Commun., vol. 30, pp. 304-308, 1979. M. H. Hayes. The reconstruction of multidimensional sequence from the phase or magnitude of its Fourier transform. IEEE Trans. Acoust., Speech Signal Processing, vol. ASSP-30, pp. 140-154, April 1982. J. R. Fienup. Reconstruction of an object from the modulos of its Fourier transform. Opt. Lett., vol. 3, pp. 27-29, 1978. J. R. Fienup. Phase retrieved algorithms: A comparison. Appl. Opt., vol. 21 pp. 2758-2769, 1982. A. V. Oppenheim and J. S. Lim. The importance of phase in signals. Proc. IEEE, vol 69, No°5, pp. 529-541, May 1981. A. E. Yagle. Phase Retrieval from Fourier Magnitude and Several Initial Time Samples using Newton's Formulae. Submitted to IEEE Trans. Signal Processing, July 1996. A. E. Yagle. 1D and 2D Minimum phase Retrieval by solving Linear Systems of Equations. IEEE International Conference on Acoust., Speech, and Signal Processing, Atlanta, May 8-11, 1996. C. Y. Epsy and J. S. Lim. Effect of additive noise on signal reconstruction from Fourier transform phase. IEEE Trans. Acoust., Speech Signal Processing, vol. ASSP-31, pp. 894-898, August 1983. T. F. Quatieri, A. V. Oppenheim. Iterative Techniques for Minimum Phase Signal Reconstruction from Phase or Magnitude. IEEE Trans. Acoust., Signal Processing, vol. ASSP-29, No°6, pp. 1187-1193, Dec. 1981. M. H. Hayes, J. S. Lim and A. V. Oppenheim. Signal Reconstruction from Phase or Magnitude. IEEE Trans. Acoust., Signal Processing, vol. ASSP-28, pp. 672-680, Dec. 1980. MATLAB Function Reference, Signal Processing Toolbox. J. M. Rouvean, A. Djebbari, A. Menhaj-Rivenq, Al. Djebbari and Z. Chama. An algorithm for reconstruction from its phase based upon least square criteria. Signal Processing, 79, pp. 67-72, 1999. L. Xu, P. Yan and T. Chang. Phase information is richly contained in the end point of a finite length digital signal. in Proc. IEEE Int. Symp. Circuits and Systems, vol. 3, pp. 851-854, 1987. Zoubir Mahdjoub was born in Angers (France) on July 1958. 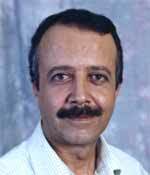 He received the diploma of Electronic Engineering, with honors, from the university of science, and Technology, Oran, Algeria in 1982 and the PhD degree in microwaves from University of Claude Bernard of Lyon, France, in 1987. 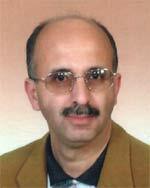 Since 1988, he is involved in research on microwave and signal processing. 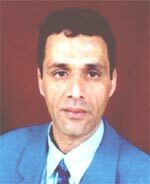 Since 1998 he is the head of electronics department, University of Djillali Liabes, Sidi Bel-Abbes, Algeria.